Presently working as a Consultant at Deloitte & Touche Assurance and Enterprise Risk Services India Pvt. Ltd., Hyderabad. By an aesthetic presentation of great ideals, the artist leads us to an acceptance of the same। We live vicariously the life of every character that is set before us and similarly Rahul Singhal lived in himself the principles, intelligentsia, and ethics of his faculty members at Resonance. He expresses that the desires, the urges, the hopes, the dreams, the successes and the failures are mandatory to make home in the world. 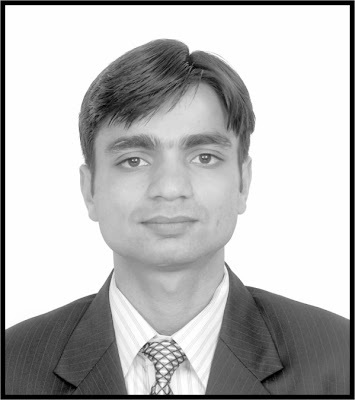 Today Rahul is a Consultant at Deloitte & Touche Assurance and Enterprise Risk Services India Pvt. Ltd., Hyderabad. In the world of dot.com, the major functions are now software oriented. The success of the software industry has increased the relative value of professional workers, that is not only programmers, but also managers and analysts. The growing importance of human capital, in turn, has led to innovative models of entrepreneurship and organizational setup, pioneered by the software sector. With the importance of IT, the software sector has become almost indispensable for other sectors as well. A potentially important contribution of the software industry is the exemplar of good entrepreneurship and corporate governance to the rest of India. Though less visible, IT is instrumental for the developmental processes and is a source of productivity improvement for all industries, and can have powerful long-term benefits for India’s industrialization and economic growth. Rahul is working in the IT Security Management offering of Security and Privacy line which helps in improving the security of a single component or work with client to develop comprehensive security programs and also helps in maintaining the entire information security management framework. He went to Germany (Opto-electronics Laboratory, Pforzheim University of Applied Sciences, Pforzheim) during his summer academic internship for 3 months. There he designed and developed PCB for trans-impedance amplifier which successfully was incorporated in the optical setup of Homodyne Laser Vibrometer. He left Resonance in May, 2004 and entered the Indian Institute of Technology Delhi with All India Rank 198. He completed his B.Tech in Electrical Engineering with CGPA 7.52% in 2008. He then joined Deloitte & Touch AERS India Pvt. Ltd., Hyderabad (July, 2008 Present) and the service line being Security and Privacy Services (SPS). Rahul always believed in the continuity of his goal and did not go astray. For him the path of righteousness was in the pursuit of achieving his aim of clearing IIT-JEE with integrity and entering the prestigious Indian Institute of Technology. Today Rahul is well established in Deloitte & Touche AERS India Pvt. Ltd. After his joining the company, he has gained experience in building solutions in Governance, Risk and Compliance tools especially in Archer, OpenPages and Oracle GRCM. This has led him to achieve excellence in good programming skills with experience in C/C++, C# and trained in Java. Currently, he is working in Security Management offering. According to him Resonance is one of the two things to which he gives credit for his selection into IIT. He believes that Resonance made his base strong by providing him the much needed concepts that are most important to crack IIT-JEE. With the best faculty and facilities, he received a very healthy and competitive environment for the JEE preparation at Resonance. There is a secret dwelling place with a longing urge in every heart and very few are able to fulfill that urge. Rahul Singhal is one, who with modesty, hard work and firm determination achieved his goal and is still on his way to maintain the same to achieve excellence ever after.